Good morning from another cold and frosty day here in Hastings. At least there is no wind so that we can go somewhere outdoors for my Social Snappers group today. Should be good. Anyway Cee has asked us for monochrome cars. 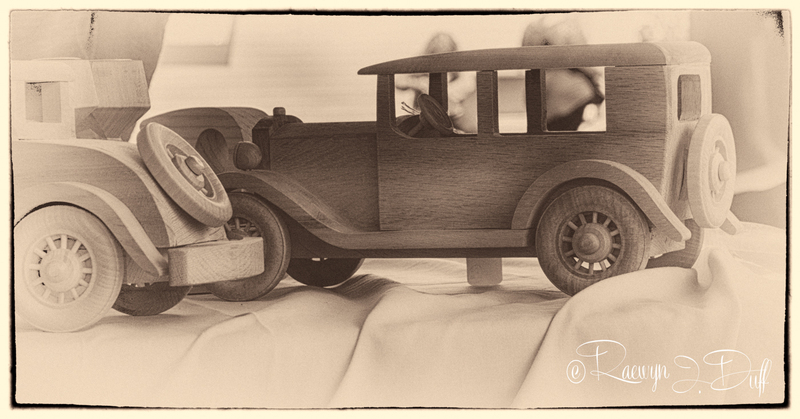 So what else do I showcase, but vintage cars – real ones as in the top image. 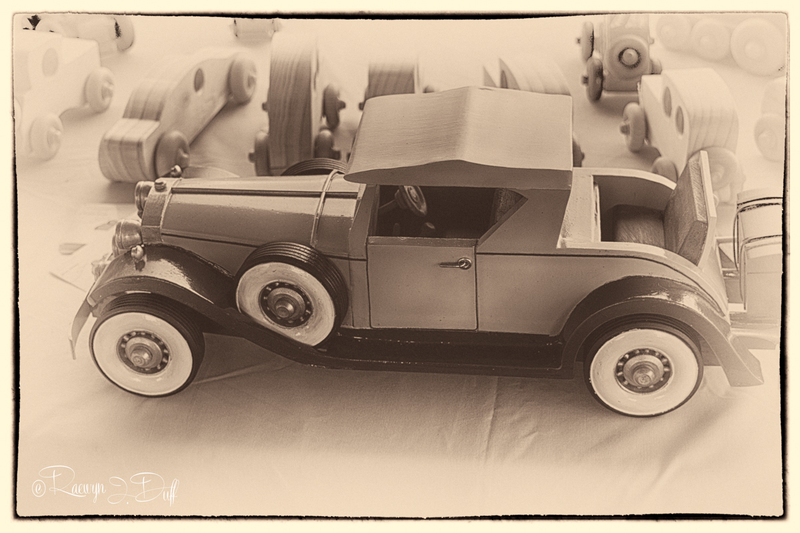 Or model cars that my father has made in these two images. Those look perfect in B&W, Raewyn. That 1st photo is fantastic. Are they Bear skins? Or Bison perhaps? I really like the way you’ve made your photos look like antique. Or perhaps they are & I was fooled into thinking you made them like that. 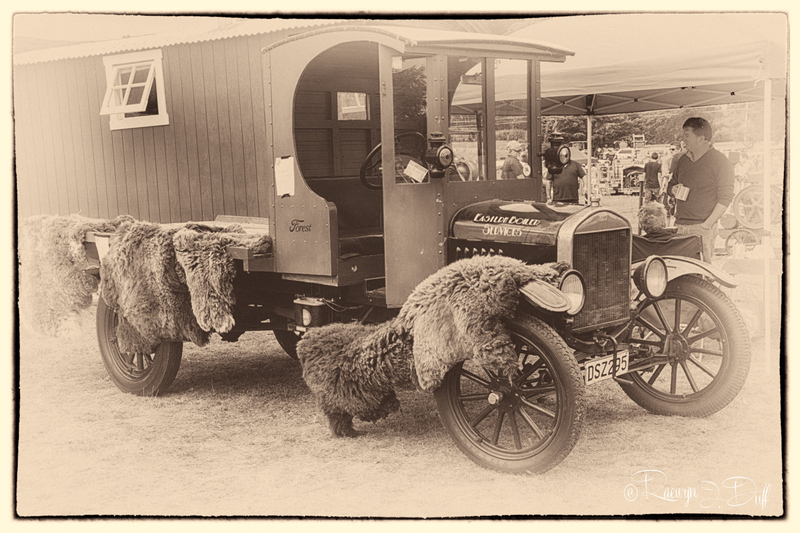 They are sheepskins – we don’t have bison or bears here in New Zealand. Thanks for your comment. I do love editing in a vintage style. Oh silly me Raewyn. Didn’t realise you were just across the the water in NZ. I’m in Tasmania. The majority of blogs seem to be in the US so I wrongly assumed.